Long Term Care Insurance Pros and Cons to think about before buying. When weighing the Long Term Care Insurance pros and cons, what we’re really doing is evaluating the level of risk involved in not being insured. As with any insurance the question: what if I never need to use insurance comes up. With car insurance, we don’t have that luxury. Car insurance is mandatory. But, insurance such as health insurance and other types of insurance aren’t and it’s up to us to assess whether we think we need insurance coverage against a particular eventuality or not. This is the situation with long-term care services. Many Americans are still unaware of this type of insurance and many are still under the impression that services like nursing homes or in-home health aides must be covered by their regular health insurance or Medicare. The reality is that only Long Term Care Insurance policies pay for long-term care services such as bathing, eating and getting in and out of bed or getting around (Activities of Daily Living). An obvious Long Term Care Insurance Pros and Cons concept on the con side, is that if you’re not insured, you’ll have to pay for the high cost of care out of pocket. This often can drain an entire nest egg if you need care for three to five year. A Long Term Care Insurance Pros and Cons on the pro side would be, if you have the coverage it allows you to keep your money so you can enjoy doing the things that make you happy. These figures should give pause to anyone considering taking a gamble on whether they will need Long Term Care Insurance. Yes, there is a chance you will be in the ⅓ of Americans who won’t need long-term care but if you aren’t are, the costs could destroy your nest egg and in turn your dream of a peaceful retirement. It’s your money, you earned it. You should choose how to spend it and how much to leave to your children and grandchildren. Don’t gamble with your future retirement plans. However, another idea on the Long Term Care Insurance Pros and Cons theme on the con side is called opportunity cost. 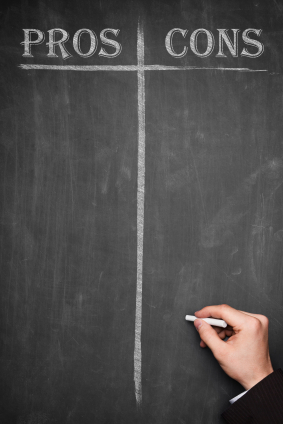 Opportunity cost is an economic term that deals with the benefit you are foregoing by taking a certain action. In this example, if you buy Long Term Care Insurance, you are paying money that otherwise would have been kept in your control. You might of invested the money, taken a vacation, helped pay the mortgage on that vacation home you always wanted. The point is that when you buy Long Term Care Insurance you are giving up some forms of freedom in exchange for, in our humble opinion, much great freedoms. We’ll talk about those Long Term Care Insurance Pros and Cons types of freedoms next. 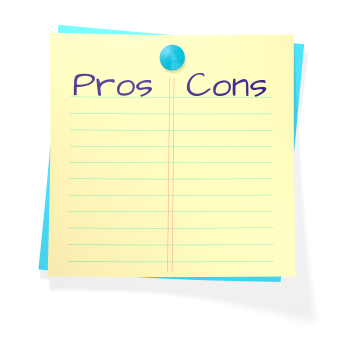 The main Long Term Care Insurance Pros and Cons benefit on the pro side is the peace of mind the coverage grant you. As people age their Long Term Care risk increase every year. Buying a modest Long Term Care Insurance policy will ensure your peace of mind, protect your nest egg and prevent being a burden on your kids. At LTC Tree, we understand the complexities of Long Term Care Insurance, we know the landscape of options and plans and we work with the best of the best in carriers to get you a policy that is both affordable and right for you and your family. The earlier you buy a plan, the better deal you can get so why not get started today on planning for a peaceful and secure retirement? The professionals here at LTC Tree understand the market, nationwide, and can give you the priceless advice and consultation to make sure you make the right choices in Long Term Care Insurance. Simply fill out the form below and we’ll get you on your way.